The sweltering hot summer comes to an end and Seattle Academy students are brought back to gray and rainy reality. We pack away our summer shorts and retreat to oversized sweaters. Our summer sandals are traded for black leather boots, and tank tops become flannels. As I wait in line at Stumptown, I observe the numerous fashion trends that seem to fill our school. Every student has an individual sense of style and taste, but there seems to be a common trend that is slipping into everyone’s outfits: PLAID. Our school is teeming with the various colors of plaids and flannels. I have seen everything from plaid shirts and skirts to plaid tights and shoes. The design that was once reserved solely for school uniforms is making a comeback on the fashion scene. Here are a few looks that appeared on the runway during New York fashion week this September. Click for full articles and photos. Not only are we seeing large plaid prints on the runway, we see them everywhere within our school. Students are taking bold chances with plaid. Below are pictures of students who wear plaid in a variety of fashions, taking what they see from the runway and making it their own. Senior Ellie Moseley shows that plaid isn't just reserved for shirts. Her black and white plaid mini skirt can be dressed up or down and is a perfect staple piece for fall. 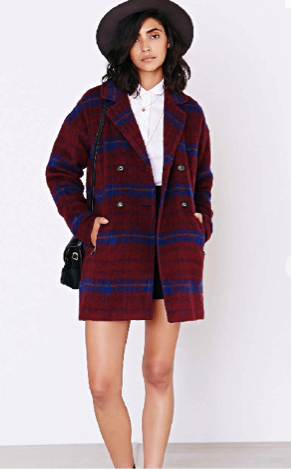 Senior Rania Venters rocks a plaid tunic with tights, keeping it cozy but still chic. 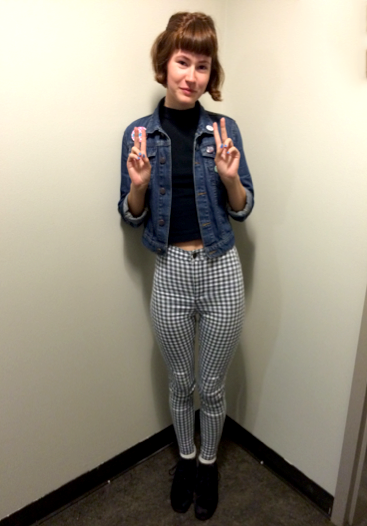 Senior Stella Sangster kills it in a statement pair of checked pants. Check out the buttons on her jacket, too! Senior Maddie Mitchell keeps it casual in a classic plaid flannel and distressed black skinny jeans. Trends aren't just for students! History teacher Steve Retz rocks his signature short sleeve button down while keeping a finger on the pulse of high school fashion. English teacher Jason Gough incorporates the colors of fall in his long sleeved plaid flannel. Way to keep it chic, Jason!